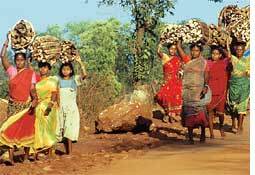 in a major relief to forest-dwellers seeking land rights in Orissa, the state's high court has directed authorities to implement the Scheduled Tribes and other Forest Dwellers (Recognition of Forest Rights) Act (fra), 2006 and allied rules. Adjudicating a pil, a division bench has directed authorities to consider applications (that a forest dweller requires to file to get the habitation registered under fra) following procedural laws and checking all documents. "We dispose this petition requesting authorities under the said Act to consider the applications in case they meet the requirements of procedural law and by annexing the documents required either under the Act or the rules or the notification," the bench said. It also directed authorities to issue appropriate order within three months of receiving an application. The order must specify reasons and be communicated to the applicant immediately. The verdict came while the court was hearing a pil filed by Digee Murmu, a tribal. "People from scheduled tribes and other traditional forest dwellers can now approach the authorities created for such a purpose," said Bibhu Prasad Tripathy, Murmu's lawyer. The verdict assumed significance in the wake of a petition filed by the Society of Retired Forest Officers in early August challenging certain sections of the Act. The petition questioned why Chapter ii, iii and iv of the Act should not be declared ultra vires (beyond the legal power).